Best SD Card Files Recovery Software, recovering pictures in 3 Steps! 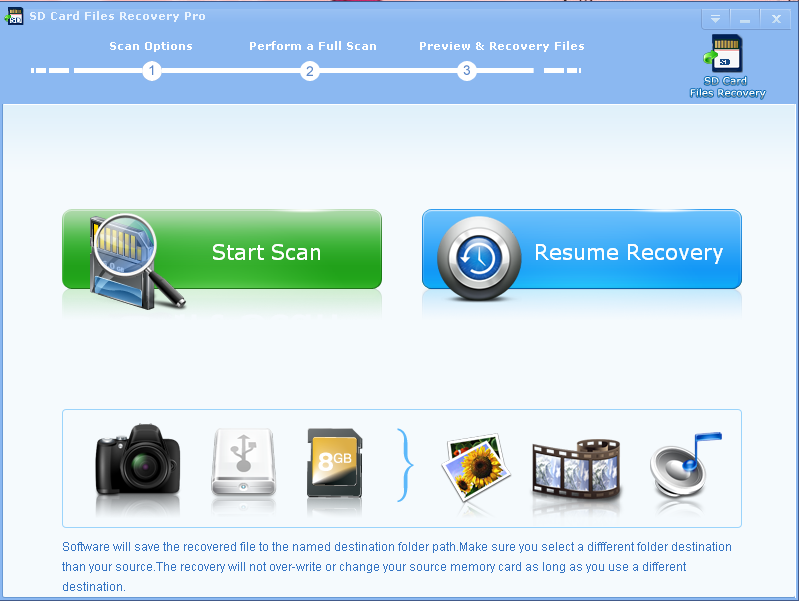 SD Card Files Recovery Pro provides an easy and convenient way to retrieve your lost files. No matter the files are deleted, corrupted or removed from the recycle bin, SD Card Files Recovery Pro will always get them back. And your lost files can be video files, photos, audio data, or files of other formats. Following content will explain how to recover your lost files on SD card briefly. SD Card Files Recovery is professional software to help people recover files from sd card. SD Card Recovery tool is well-known memory card recovery software of Lionsea Company. The company invited a powerful and technical team to design and develop this software. As a matter of fact, SD Card Recovery is very popular and useful for customers. STEP 1 Download SD Card Files Recovery and Install it for free. STEP 2 Run SD Card Files Recovery. Click [Start Scan], specify the drive letter, file type and destination location. Then click [Next] to start the scan. STEP 3 When the scan is finished, select the pictures you want and click [Recover] button to restore the files. 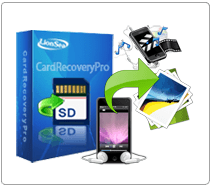 SD Card Files Recovery Pro recovers almost all image formats including BMP, JPEG, GIF, TIFF, Mamiya (MOS, MEF), Paint Shop, Picture File (PCT) and Pro Image File (PSP). Video file formats such as VI, MP4, MPEG, 3GP, AVCHD Video File (MTS), Matroska Video File (MKV), MOI Video File, Divx Encoded Movie File (DIVX), Video Object File (VOB), OGG Media Player (OGM), ASX and 3G2 are also supported by SD Card Files Recovery Pro . Audio File formats as MP3, WMA, WAV, RPS, AU, MIDI, AIFF, OGG, RM, RA, M4P and M4A are also common file formats that supported by SD Card Files Recovery Pro . * SD Card Files Recovery Pro will undelete all type of photos from your SD card or disk.